Astronomers at Yale and Harvard have found a galaxy with a heartbeat—and they've taken its pulse. It is the first time scientists have measured the effect that pulsating, older red stars have on the light of their surrounding galaxy. The findings are published in the Nov. 16 online edition of the journal Nature. 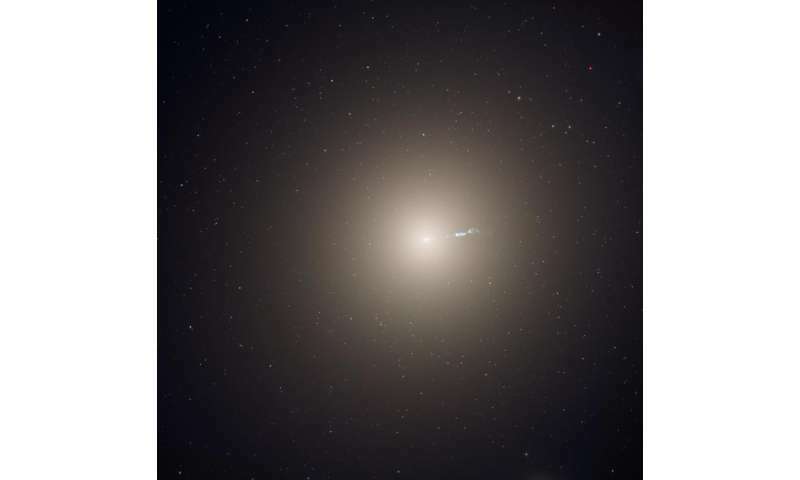 "We tend to think of galaxies as steady beacons in the sky, but they are actually 'shimmering' due to all the giant, pulsating stars in them," said Pieter van Dokkum, the Sol Goldman Professor and chair of astronomy at Yale, and co-author of the study. Later in life, stars like our Sun undergo significant changes. They become very bright and swell up to an enormous size, swallowing any planets within a radius roughly equivalent to Earth's distance from the Sun. Near the end of their lifetime, they begin to pulsate, increasing and decreasing their brightness every few hundred days. In our Milky Way galaxy, many stars are known to be in this phase. "We realized that these stars are so bright and their pulsations so strong that they are difficult to hide," said Charlie Conroy, an assistant professor at Harvard, who led the research. "We decided to see if the pulsations of these stars could be detected even if we could not separate their light from the sea of unchanging stars that are their neighbors." 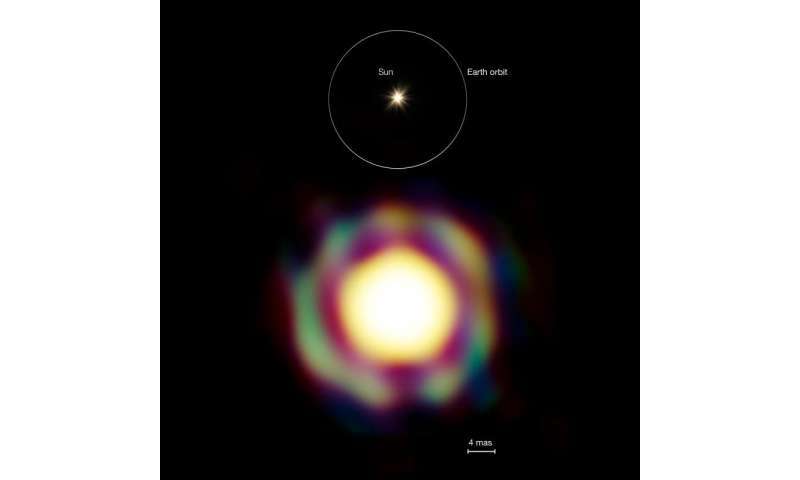 An image of the pulsating star T Leporis, compared to the size of the orbit of the Earth around the Sun. T. Leporis is 500 light years away. 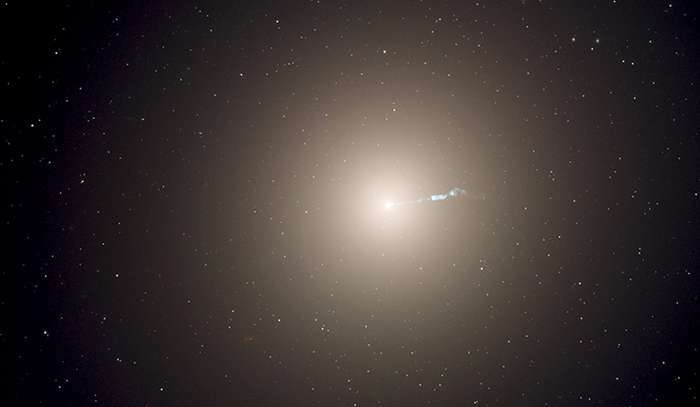 Huge stars like this are causing the 'heartbeat' of the galaxy M87, 50 million light years away. Credit: ESO/J.-B. Le Bouquin et al. The next step, according to the researchers, is to take the pulse of other galaxies. "Our models suggest that the pulsations will be stronger in younger galaxies, and that's something we'd love to test," said co-author Jieun Choi, a Harvard graduate student. Of course, even the older galaxies will continue to beat for a while longer. "Cardiac arrest is not expected until a trillion years from now," van Dokkum said. "That's a hundred times longer than the age of the universe." Why is there a coherent pulse at all? My expectation is that if the individual stellar pulses are not actually synced to one another through some mechanism, then this should be noise. And your paper showing these resuls? Is where? More pseudocr*p, ladies and gentlemen.